It appears that the east side of SW 127th Avenue between Miller Dr (56th St) & Bird Rd (42nd Street) was partially striped for bike lanes earlier today. 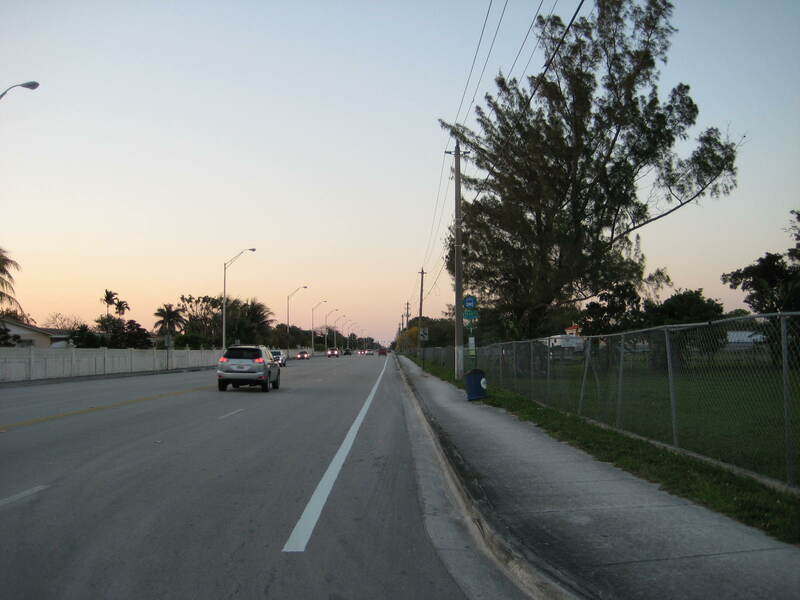 There are no bike lane signs up yet, but I can't imagine it being anything other than bike lanes, unless it's an equestrian path, keep in mind this part of Miami-Dade is known as "Horse Country". There's an abundance of migrant workers who ride their bicycles in this area as it is their only means of transportation. It's unfortunate that due to lack of education these bike lanes will go mostly unused, the 40mph speed limit will also discourage most people from using the lanes and remaining on the sidewalks. awesome. I normally have no problem riding on the street, but this particular stretch has always bothered me. Simple work like this could be undertaken on so many roads to benefit so many. Cool. Hey, uhm... "migrant workers whom ride their bicycles", in this case, you should use "who" cuz it's a subjective pronoun, not "whom" which is an objective pronoun. Sorry, I know I'm being a pedantic somethingortheother. This will be up on TransitMiami.com later today as well. Excellent. Now if the county would have had the foresight to include bike paths on the recently-widened stretch of 127th Ave between Kendall Drive and SW 120 ST...you would have a 5 mile stretch of north-south bike lanes right across the heart of West Kendall. Nevertheless, a step forward is a step forward.